The Ducks got the best of the Blues last night, which means Cam is still in need of a win this week, but we still have the weekend left to play, so there shouldn't be much cause for concern there... yet. Tonight, it's not the busiest of nights in the NHL, but we do have one survivor game, as the Washington Capitals are playing their first game this week, giving Grant a go in one of the early games. The Capitals are playing host to the Kings tonight, which is not going to be a walk in the park for the home team, but they have been able to keep things running at a good pace of late. It's a top end goalie match-up, as Quick will try and play spoiler on behalf of Chris' team, while Holtby gets the nod for Grant's side. The Capitals only have one more game this week, if they can't get it done tonight, Saturday night, at home to Columbus. Another injury we're watching out for, likely another reason for the trade for Adam Henrique this morning, as Jakub Silfverberg suffered an upper-body injury against the St. Louis Blues, forcing him from the game, not to return. There hasn't been much of an official update, from what I have seen this afternoon, but with the Ducks not playing again until tomorrow night in Columbus, we probably won't see anything until tomorrow morning, as to whether or not he'll go. It might be too early to panic for Ryan right now, but Silfverberg hasn't quite been the offensive force that many were expecting, only 11 points in 25 games, so a drop might be something to consider in the bonus round, if it is long-term. The Montreal Canadiens traveled to Detroit today for a tilt against the Red Wings tonight, but not accompanying the team on the trip is forward Jonathan Drouin, who is hurting with a lower-body injury. This is a home-and-home series with the Red Wings, so we'll have to see if he'll be cleared to play in the return game at the Bell Centre, but we won't know much until Saturday morning, I would have to think. An extra day or two off of skates has to be the treatment, especially if it's a groin issue. Derek B. 's team has fallen off the pace a little bit this week, having dropped off down to 9th place, now 17 points back of the money and one of his top picks is back on the shelf. Here's hoping that the rest helps his cause and he can jump back in the lineup tonight. It's another lower-body injury for Dallas Stars forward Martin Hanzal that will keep him out of tonight's game against the Blackhawks in Chicago. Hanzal reportedly suffered the injury in the Stars game against the Golden Knights this week and he is currently listed as out day-to-day. The team has left Hanzal back in Dallas to get evaluated and there will be more of an update on Friday. Neil will still have some time to move on Hanzal, if he so chose this week, to swap him out in the bonus round of the Waiver Draft, if he felt that there was anyone out there that could stay healthy enough to get him some more points or not. The schedule has not been very kind to Juuse Saros in Nashville, as he can't seem to find much for action behind Pekka Rinne these days. The Predators have opted to send Saros back down to the AHL, likely for a couple of games worth of action, just to keep him fresh. Since he doesn't have to clear waivers to get down there, it's a simple and risk-free move for the Predators. This shouldn't be a major concern to Eric and his team, as Saros wasn't likely going to get a start in the foreseeable future anyways. Once the schedule plays nicer and Nashville has a tougher schedule, one could expect to see Saros more often. The poor start to the 2018 season for the Edmonton Oilers has been a point of focus in the hockey circles already and it's only the end of November. Unfortunately, things might not be getting immediately better, as the Oilers have placed their number one goalie and workhorse, Cam Talbot, on the Injured Reserve, due to a recurrence of a previous lower-body injury. The move is retroactive to Tuesday night, so he will be eligible to come back to the lineup early next week and now the reports from the Oilers coaching staff are saying that he could be out of commission for a couple of weeks and maybe even longer. This could be a pretty good hit to the Oilers season, which is already in dire straits. Through Wednesday night's action, Talbot is currently ranked 56th overall in pool scoring with 10 wins and 22 points through 22 appearances. It's a point per appearance click, which isn't too bad, but Wes took him with the 4th overall selection in this year's draft, so there has to be some real disappointment that the Oilers are not winning at the clip that they were expecting. This is a little bit of a bonus for Eric's team, who has Laurent Brossoit until early next week, as he will get a couple of unscheduled starts before getting dropped through the Waiver Draft results. There is no guarantee for wins against Toronto or Calgary this week, they'll be two tough match-ups, but at least he's getting the chance. We have a trade to announce! No, not in the hockey pool, I haven't been able to work trades into the pool, so we'll just have to suffice with the trades that go on in the league. The Anaheim Ducks have acquired forwards Adam Henrique and Joseph Blandisi, as well as a 3rd round pick, from the New Jersey Devils for defenseman Sami Vatanen and another 3rd round pick (albeit conditional) going the other way. With the Ducks losing forward depth with Patrick Eaves to his illness and Ryan Getzlaf still on the shelf with his injury, they needed to add some right away and they used their defensive depth in order to get some. Adding Henrique should give them some versatility, as he can give him some presence both at centre and at wing. The Devils are in the running for a playoff spot this season and they were certainly able to address one of their concerns on the blueline, adding a power play specialist in Vatanen to the mix. Vatanen got off to a later start this season, due to a shoulder injury, but it has already started to pick up for him. Wilton sees his forward head west to the sunny skies of Anaheim and there is certainly some potential for some added offense, joining the likes of Corey Perry and Jakob Silfverberg right now, awaiting the return of Getzlaf and Ryan Kesler. In the Waiver Draft this week, Jeremy snapped up Vatanen, thinking that he would be operating their power play, so it will be a period of adjustment for him joining a new team, but one with certainly some potential in their youth. Jeremy was already going to see gains from the drop of Jonas Brodin in Minnesota, but now the gains have the potential to be really great. Wednesday, we started with 14 picks already in the books, eight and six picks in the first couple days, so it was going to have to take a pretty good day to even make it through the first day... and that's exactly what we had! We were able to make it through the 1st round and even open up the 2nd round with one pick there. I would say that was a pretty fine day! Grant opened up the day on Wednesday with a defenseman swap, taking out the underachieving Frederik Claesson in Ottawa and adding the European import in the Chicago lineup, Jan Rutta, who has been off to a great start this season. Major upgrade, for sure. Before getting too drunk at a bowling outing, newcomer Chris was able to agree to a forward swap, taking out the injured Kyle Palmieri, who is out of the Devils lineup until the New Year, picking up Kings rookie Adrian Kempe to take his spot. I know Derek B. was humming and hawing over his goalie swap for a couple of days, juggling two or three ideas of who he would replace Antti Niemi with and he finally decided on Penguins backup, but new number one for now, Tristan Jarry. He'll try to capitalize on the Matt Murray injury for however long he is out for. Dale C. needed to dispatch of the ill Patrick Eaves in Anaheim, as his timetable for a return is hazy, at best, if at all, so he made the move to pick up Craig Smith in Nashville, trying to cash in on their overall game, which seemed to pick up in the second half of the season last year as well. 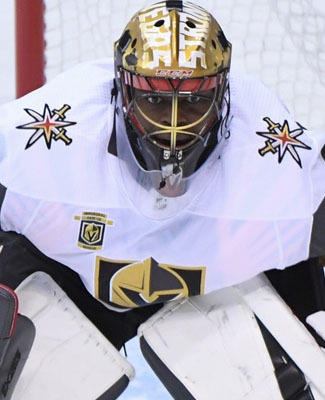 The goaltending carousel kept on spinning with Wilton's pick, as his goalie surviving team was in need of a little help, as he opted for Malcolm Subban in Vegas, as he begins to get more work, coming off of his lower-body injury. Chad Johnson was getting sparse starts in Buffalo and wasn't exactly winning them either, so now he has help for Andrei Vasilevskiy moving forward. Stuart needed a goalie as well, as Louis Domingue is now sitting in the minors in Tampa Bay's organizational scheme and there doesn't seem to be any window for him to return any time soon. So, he opted for the backup in New Jersey, Keith Kinkaid, as he'll try to capitalize on Jersey's improved play in the 2018 season, so far. 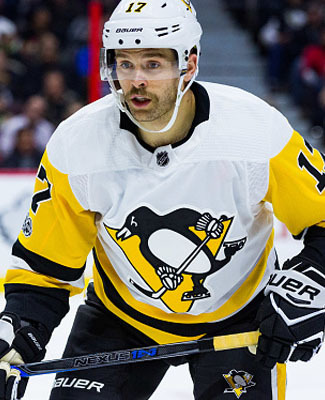 The second of two retired players was let go with the 21st drop in the Waiver Draft, as defenseman Mark Streit wasn't coming back to Benson's team, so a healthy body was needed and Pittsburgh's Olli Maatta is now there to fill the void, for however long he can stay healthy for. Kristy & Don opted to pass, as their team looked pretty solid heading into the Waiver Draft... although they did try to poach a player that was already picked on another team at the original draft. I'm not sure how well that was going to work for them. 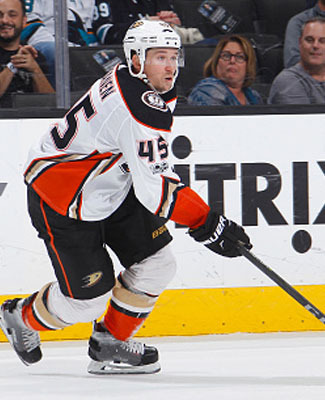 Jeremy needed a defenseman change as well and there is more news surrounding his pick, which will come after this post, but he picked up Sami Vatanen, who was on the Ducks roster at the time of the pick, dropping Jonas Brodin in Minnesota, who has continued to struggle these days. 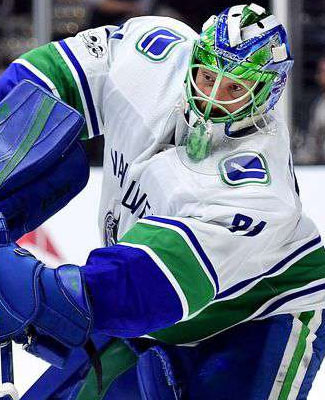 Somehow, Canucks backup goalie, Anders Nilsson, made it down to the end of the first round of the Waiver Draft and that's where Brian was able to snag him, with the 24th pick. Between minutes played and points accumulated, Nilsson was better than his goalie, Mike Condon in Ottawa, so the swap was pretty easy. Finally, finishing off the first round of the Waiver Draft, is the current reigning champion, Dale B., and he was able to make an improvement to his excellent team, dropping Victor Rask in Carolina and picking up Ryan Hartman in Chicago. Rask is officially available to anyone, if they were looking for someone like him in the second round and beyond, but the pick of Hartman is an improvement, especially since he's getting really hot these days. So, not only were were able to finish off the first round, Scott B. was up and at it in the evening last night, and he was able to kick off the second round right away, looking to improve his defense corps, dropping Nathan Beaulieu in Buffalo and picking up his second Golden Knights player, Colin Miller. Now, we'll kick off Thursday with Eric's pick, which I have waiting in the coffers, I just wanted to review the day yesterday, before I got too far ahead of myself. Stacey C. will be next up on the bill and we'll continue to roll through. Stay tuned! It's pretty strange, as the Bruins got Brad Marchand, David Backes and Ryan Spooner back from injury last night, David Krejci and Jake DeBrusk both came out of the lineup, both due to mysterious upper-body injuries. 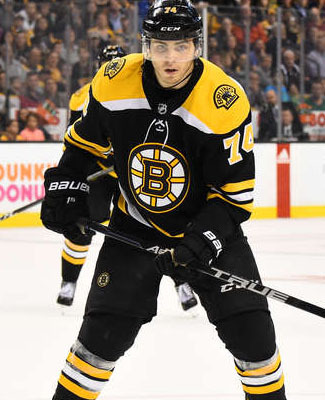 Krejci's issue is believed to be a back issue, but DeBrusk's injury is more of a mystery, but both are considered to be day-to-day for right now and we don't have very much more, in terms of details. Krejci has already missed some time for Dale B. 's team, but appears to be set to miss a little bit more, while Cam just picked up DeBrusk in the Waiver Draft and if the details come down that he'll be out for an extended period of time, Cam will have the option of swapping him out later on in the Waiver Draft. Well, both Wilton and Mike were able to post their necessary wins on Tuesday night, now making three out of the five teams having done so, thus far in Week Nine. This only leaves Cam and Grant left on the table, looking for their wins. It's a fairly quiet night tonight, with only four games on the docket and only Cam has the possibility of goalies playing tonight, since the Washington Capitals haven't taken to the ice much yet this week. This could have been an all-Cam game in St. Louis, but the Anaheim Ducks are instead going to go into the Scottrade Center with their number one goalie, John Gibson, giving Tony a start instead. Cam will just have to suffice with Jake Allen, his number one goalie at the other end, trying to knock down this win. The Blues are the top team in the west, but the Ducks are starting to come on strong. The Anaheim Ducks announced this afternoon that standout defenseman Brandon Montour won't be able to play in St. Louis tonight, due to a hyper-extended elbow. The injury isn't thought to be very serious, at the moment, still just a day-to-day injury. The Ducks could probably use Montour in St. Louis, as the Blues are running pretty hot at the moment and will be a tough team to defend against, as it is. For Brian, he's being presented injury options in this Waiver Draft week, but I don't think he is going to be biting on any of them at the moment. His team is only 1 point out of 1st place, heading into Wednesday's action, but he'll be at least one body short tonight, so he'll have to rely on his other players to pick up the slack. The Boston Bruins are getting healthier, as both Brad Marchand and David Backes are expected back in the lineup tonight, following long layoffs, due to injury. Marchand had missed the better part of the last couple weeks, while Backes has been out since the end of October after major colon surgery. This could be a huge boost to the Bruins, who are certainly in need of some more offense. Both Cam and Neil are certainly looking forward to the boost to their lineup, which will be just as good as a Waiver Draft pickup for each time. Cam sits in 15th, while Neil is down in 20th to start today. Well, I was hoping that we would do about the same amount of picks on Tuesday, as we were able to pull off on Monday, which was only eight, but we hit another big speed bump in the afternoon, as Grant hasn't been returning any emails or texts. But he has until 2:30pm to make his selection, before we "swiftly" move on. Anyways, let's have a peek at the six picks we did make out on Tuesday and let's hope that we get a big push on Wednesday. Mike added another Penguins player to his roster with his first pick in the Waiver Draft, taking forward Bryan Rust. Rust has been seeing a fair bit of top six time in Pittsburgh and has the points the prove that he has been up there. Dropping Kris Versteeg was a necessary move, as the numbers haven't quite been there and the current injury status is a little disheartening as well. The first of the retired players in the early part of this season was dropped on Tuesday, as Stacey M. finally dispatched of Vadim Shipachyov, who was let go by the Vegas Golden Knights, as he didn't quite fit into the scheme, both as a player or as a paid employee. Stacey joins the rookie race by taking Colorado's Alexander Kerfoot. Another disappointing player needed to be dropped at this Waiver Draft and Brenda & Seward, who have been making moves up the standings, can further do so by letting go of Jussi Jokinen, now of the Los Angeles Kings, who just hasn't fit in anywhere yet this season. The youth movement in Arizona was a good place to go, picking up Christian Dvorak to take Jokinen's place and that should aid the duo's ascent up the table. Plenty of disappointment from the number two pick overall in this year's entry draft, as the Philadelphia Flyers just haven't got the offense that they were hoping for out of Nolan Patrick and that slid all the way down to Cam's pool team and you can imagine his disappointment as well. So, it's one young player for another, as Cam replaced Patrick with Boston's Jake DeBrusk, who has found some regular time in their lineup and a few more points as well. More rookie disappointment on Clayton's team, as Minnesota's Joel Eriksson Ek couldn't find his stride in the Wild lineup and has since been demoted to the minors to try and find his game. Clayton can't wait for a return, so he dropped the young Swede and picked up an early season holdout, who is now flourishing in Columbus' Josh Anderson. Possibly a late start was all he needed to get going. Finally, the last pick collected on the day was Tony's drop of San Jose's Paul Martin and he upgraded to Toronto's Ron Hainsey, who has been quite the fit with Morgan Rielly on the Leafs backend. Martin hasn't seen any action since the second game of the season, so anything would be an upgrade at this point for Tony's team. And there you have it... the six picks from yesterday. Let's hope for a big return today! With Dylan Strome coming back into the Coyotes lineup on Tuesday night, someone had to come out of the lineup and it was Anthony Duclair that drew the short straw, as his game hasn't really improved all that much, since the last time he was up in the press box as a scratch. The Coyotes still dropped a 3-2 decision against the Oilers in overtime, so there might still be some changes to come yet. 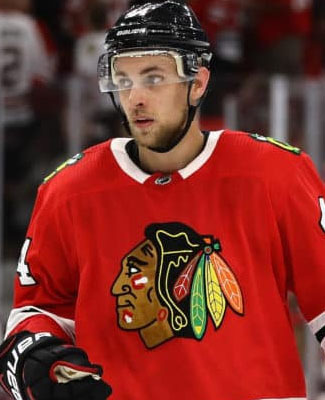 In that loss to the Oilers, defenseman Niklas Hjalmarsson left the game in the 2nd period, due to an upper-body injury and there are some fears that this could be related to the last upper-body injury that cost him 10 games earlier this season. There has been no confirmation of that, but it's something that we're looking out for. Both Duclair and Hjalmarsson may have been decent picks at the draft, but they haven't exactly worked out to be that way in the first segment of the year, which I'm sure both Wilton and Stacey M. could attest to. I wouldn't be surprised, if one or both, were dropped at this Waiver Draft. Both pool teams have gotten off to good starts this week, no thanks to these two though. The durability of Jaromir Jagr is still a little bit of a question mark these days, even though he was able to suit up for all 82 games in Florida last year, the lower-body injuries are slowly starting to pile up a little bit. The certain Hall of Famer had to sit out of last night's game against the Maple Leafs, due to the ailment and he is currently listed as day-to-day, but with the Flames playing next on Thursday night, with the Coyotes in town, it will be interesting to see if Jagr dresses for this one. Ryan took a flyer on Jagr this season, picking him up before he signed with the Flames, but since then, he's only seen 6 points in 14 games, which could be grounds enough to be rid of him in the 2nd round of the Waiver Draft. Some interesting decisions to be made there. It was a late scratch for New York Rangers forward Mika Zibanejad, who deemed himself unable to play against the Panthers on Tuesday night, due to an upper-body injury. The team's number one centre did take the pregame skate, ahead of their 5-4 loss, but pulled the chute shortly thereafter, giving David Desharnais a spot in the lineup for the night. Zibanejad is considered day-to-day right now, but he'll likely be reevaluated in the next day or so and we should get a better picture here soon. If Zibanejad was good enough for the pregame warm-up, then Brian shouldn't panic about any long-term injury for one of his best forwards in the pool, thus far. It's a quiet week for the Rangers, their next (and last) game this week is on Friday, so even if he misses that game and comes back next week, he'd have ample time to rest. Out of two starts last night, Jeremy was able to get his one win, as Corey Crawford and the Blackhawks laid waste to the Ducks, qualifying him for Week Ten nice and early. With Jeremy all done, that leaves four teams left to get the job done, but only two of those teams have the possibility of starts tonight, which is strange for a Tuesday, since it is usually the busiest day of the work week, but that's the way it's going to be tonight. This could have been an all-Wilton game, if the Sabres were nice enough to put Chad Johnson in their crease tonight, but oh no, they won't be doing anyone any favours like that tonight. Instead, Wilton will have to go at it with only one goalie, but to his credit, Andrei Vasilevskiy and the Lightning would be the horse I would bet on, regardless. Kristy & Don are back in the hunt for the money, so they are quite hopeful that Buffalo could pull off the upset tonight at home. It doesn't look like Petr Mrazek is going to get any platoon work in the early part of this season, so he'll continue to be the guy that works the second half of back-to-backs. Instead tonight, it will be a money race match-up, as Chris' 10th place team will look to close the 18-point gap to the money spots with Quick and the Kings, while Dale C. only has a 10-point gap to close with Howard and the Red Wings. The Maple Leafs are in Calgary to start their annual Western Canada road swing and this is a game where Mike is expected to get a start, as Frederik Andersen should take to the visitors crease for the better part of this trip, since the schedule is really working out for him that way, games every other day. At the other side tonight, it is expected to be Mike Smith, giving a spoiler start to Ryan's team. Should be a great match-up tonight.